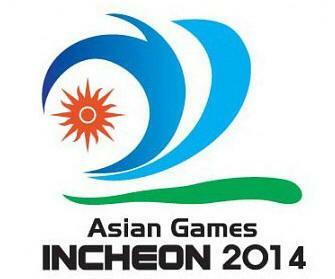 Asian Games 2014 will be held in in Incheon, South Korea. This article gives you more information about 2014 Asian Games. Venues of each event are included in this article. Slogan and sports events of 2014 Asian games are also quoted in this article. There are two countries, Delhi (India) and Incheon (South Korea) bided to host 17th Asian games and most people voted for South Korea with 32 votes and India with 13 votes. From the voting results, Incheon (South Korea) will host the 2014 Asian Games. Soth Korea offered free food and accomodation for all participants for the 2014 Asian Games. From the latest information from the Organisers, 17th Asian games will start from September 19 to October 4 2014. As per the latest decision by the Organisers, there will be 40 competitions in various sports events for 2014 Asian games. the main stadium for 2014 Asian games will be Yeonhui-dong, South Korea which is contracted by experienced Australian company and expected to complete the construction on July 2014. As per the latest plan there will be 60, 000 seats avialable in the stadium. Slogan of 2014 Asian games: "Diversity Shines Here"
This stadium has got a capacity of 1000 to 1500 people to occupy. Golf, swimming, shooting and equestrian are the events conducted in this stadium. Total capacity of this stadium is 1010 to 4026. Events conducted in this stadium are Taekwondo, wushu and BMX. Badminton and archery are conducted in this stadium. 3004 seats are available in this Stadium. Swimming is conducted in this Stadium. Field hockey, judo and wrestling will be held in this stadium. 2050 to 5010 people can be occupied in this Stadium. Tennis and squash are conducted here. 1207 to 5061 people can be seated here. Volleyball tournament will be conducted in this stadium. Capacity of 5010 people includes in this stadium. Football will be held in this stadium with a capacity of 20,000	people.